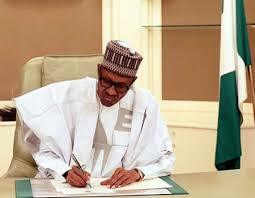 President Muhammadu Buhari has also approved the release of N20 billion to revitalize public universities in line with the demands of the Academic Staff Union of Universities, ASUU. The Minister of Finance, Zainab Ahmed, made this disclosure in Abuja on Monday, NAN reports. She explained that the money for the universities would be released through normal channels. Meanwhile the President also approved the immediate release of N22.68 billion as retirement benefits for ex-workers of the rested Nigeria Airways.